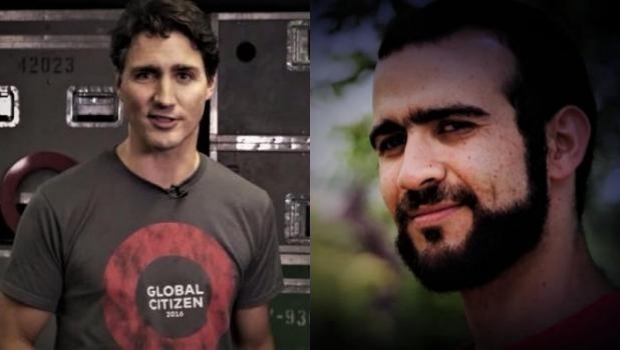 Ever since news leaked that Trudeau was paying Omar Khadr $10.5 million, there has been growing outrage across Canada and much of the United States. And yet, despite the decision being the full responsibility of Justin Trudeau, he has refused to take responsibility for it. He’s blamed everyone and everything – except himself. Trudeau’s out-of-touch statement comes as he is trying to blame any possible NAFTA troubles on the opposition. He seems to think that the problem is people talking about the Khadr payment, despite the obvious fact that there would be nothing to talk about if he hadn’t made the payment in the first place. This is a recurring pattern from Justin Trudeau, and it makes sense when you consider that he has his job because of his last name. He expects to be treated like a prince or a king, rather than a democratically elected leader who takes responsibility for their decisions. He can try to spread blame around all he wants, but Canadians know it is Trudeau – and Trudeau alone – who bears responsibility for the consequences of his payment to Omar Khadr. Arrogantly dismissing the justified outrage over the payment won’t do anything to help Canada, and it only goes to show that Trudeau lives in a bubble where he can do no wrong, and everything is always somebody else’s fault. No Trudeau! This is your doing, and your doing alone! Your answer shows your hatred for this country and the people that you were elected to govern. In the end, you will lose. That is true. It is also one of the reasons Justin Trudeau and leader should never be used in the same breath. No rule of law was applied. Subjective terrorist funding was; with disregard to a legally entered into international agreement. That agreement within the law was violated. Rule by a democratically elected government that chooses oligarchy as their rule is not respected. You mean public opinion of flyover deplorables, are mob rule? Works in Communist dictator countries, you know, like Venezuela………it’s tragic to have so many uniformed people. They shouldn’t have the vote?